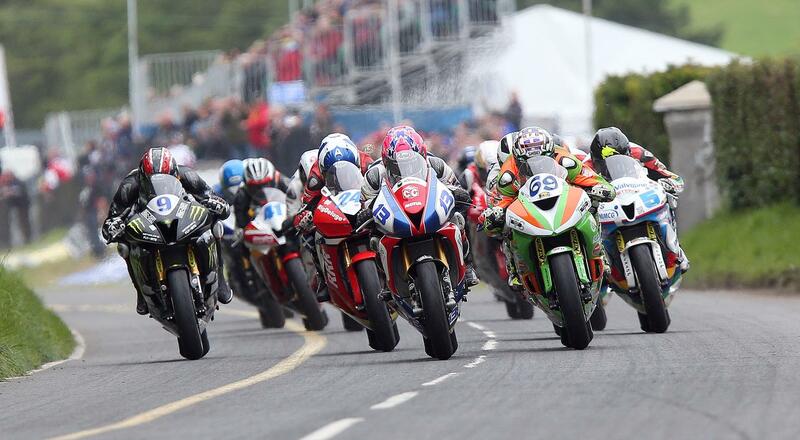 Few sporting events can claim to be as exciting as the international MCE Insurance Ulster Grand Prix, which takes place this year between August 8-13. Held on the 7.4-mile Dundrod circuit, the MCE Insurance Ulster Grand Prix is officially the world’s fastest road race, featuring average speeds of over 130mph from a sensational mass start. The lap record, set by super-fast New Zealander Bruce Anstey on his Suzuki superbike in 2010, currently stands at 133.977mph, but with the bikes getting faster than ever, and if the battle between Ian Hutchinson and Ulsterman Michael Dunlop is anything to go by, the flying kiwi might well have a challenge on his hands this year. There will be no shortage of racers trying to get on to the top step of the podium, with big names including Hutchy, the Dunlops, Lee Johnston, Peter Hickman, Dean Harrison, Ivan Lintin and Conor Cummins all set to compete. In an extra thrilling twist for 2016, event organisers have confirmed a new Superpole session, in a move to make the battle for pole position on the starting grid more exciting for competitors and fans alike. The fastest 10 riders in the Superbike practice session on Thursday, August 11 will return to the grid later that day for a special timed event and jostle for their final qualifying positions on Saturday, August 13, in what is sure to be an electrifying spectacle. With the hospitality, food stalls, official merchandise, competitions, live music and shows, there is plenty to keep all ages occupied. An official schedule will be released in the coming weeks. Make sure you keep an eye on the website for the full schedule. General admission tickets are on sale now via Ticketmaster and are priced at £25, which includes access to the circuit and the paddock throughout Bike Week. Seats in the Joey Dunlop, Smyth’s and Leathemstown grandstands are also for sale on Ticketmaster – advance purchase is necessary to secure one of these. Camping and motorhomes are welcome, visit www.ulstergrandprix.net for details.